Bermuda’s Jah-Nhai Perinchief — who competes for Iowa Central — has been named the NJCAA Division I Men Athlete of the Week. 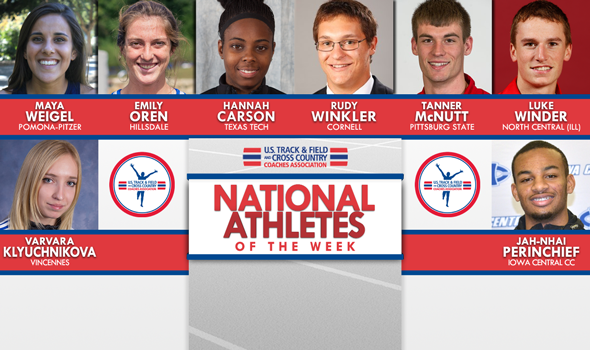 The National Athlete of the Week is an award selected and presented by the USTFCCCA Communications Staff at the beginning of each week to 10 collegiate outdoor track & field athletes; male and female for each of the three NCAA divisions and both NJCAA divisions. The U.S. Track & Field and Cross Country Coaches Association said, “Already an NJCAA leader in one event, Jah-Nhai Perinchief decided to make it two this past weekend. Perinchief starred at the NJCAA Region XI Championships. He won the high jump, triple jump and placed second in the long jump. Perinchief recently won the K.T. Woodman Classic in Kansas, and in doing so he shattered the Bermuda Junior High Jump Record, which was set by legendary athlete Clarence “Nicky” Saunders 35 years ago. Well done ! Continue jumping for greater heights !